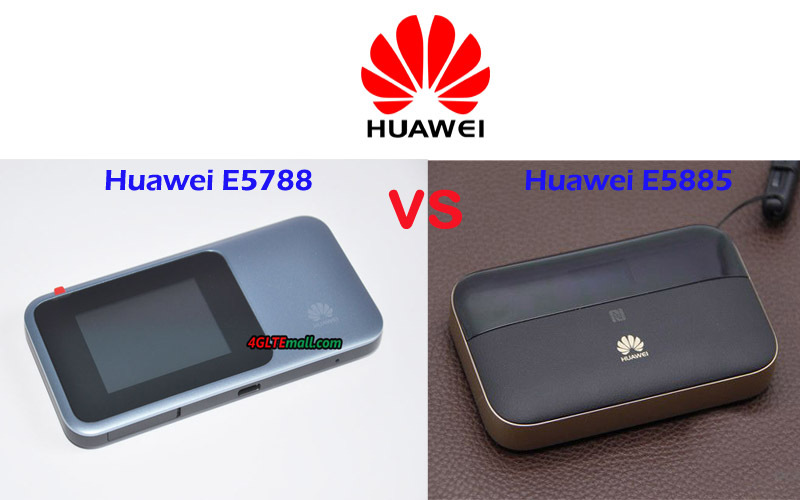 Huawei E5885 VS E5788 Appearance and interfaces Huawei E5788 is the latest Huawei LTE advanced pro mobile 4G router with a touch screen. 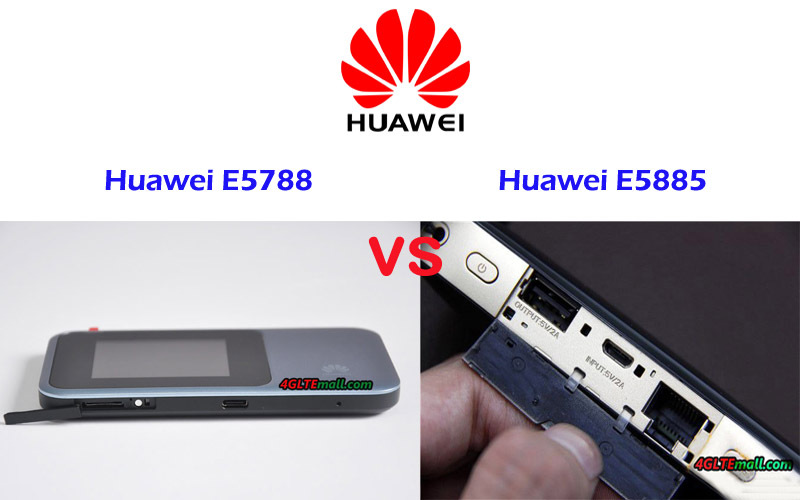 Comparing with its predecessors, Huawei E5788 is thinner and has better hand feel. The power button is on the top edge side while the USB 3.0 port and SIM card slot are on the opposite side. 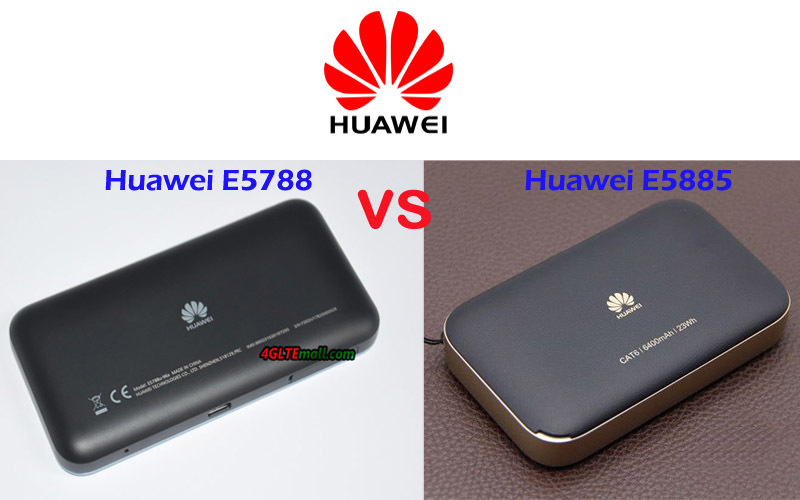 We can’t find the connector for an external antenna, which is the standard configuration in other Huawei E5 mobile hotspots such as E5787 and E5786. The backcover of Huawei E5788 can’t be removed and the battery is built-in and non-removable.